I told her it was time for me to tell my side of the story and that it was healing, and quite the relief to finally have the courage to tell others about this part of my life in the hope I can save a marriage; prevent acrimony in divorce; or prevent Parental Alienation. Then I asked her why is she angry at me for posting the court docs, the IRS Lien, when it was the settlement her dad asked for; and it was he who refused to complete that settlement. I never wanted this, she knows that is true. I changed my review of the song “Momma” I tried to delete it, but there was no option. I have not been notified of any “Lies” that need to be addressed here, so it remains. I haven’t been given a text back, but I am going to wait the full week before I cry about that. I have issues with my children, deep issues, not once, not ever, have they ever challenged me in a open public forum, with proof, (they run their mouth constantly, to my face and behind my back). My answer is and forever will be, PROVE IT! Cry when ever you feel like it, at least you know your still ALIVE! I cry, but its rare, I wonder if I have feelings? 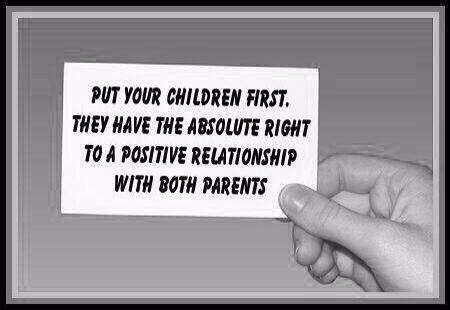 Parental Alienation is a form of brainwashing. The loving, healthy relationship a child has with the )(targeted) parent is broken down through various forms of abuse including: threats, emotional abuse, messages that the other parent does not love you or abandoned you etc, disclosing adult information to a child, punishing a child for showing love or wanting to contact the other parent, forcible separation from the other parent are all common. The abuse and psychological intimidation is so severe the child splits or dissociates from the targeted parent, and in that vulnerable state the abuser can program the child to hate, reject, or fear the targeted parent. My point- your children today are not the children you remembered. They have been through a lot of pain, trauma and brainwashing. You cannot take it personally when your children lash out at you or make false accusations or employ the tactics of an abuser. Nor should you be a doormat to any kind of behavior that is disrespectful or hurtful to you. I think it’s a balance of understanding the alienation and deciding for yourself what you need to do to keep yourself healthy, and make peace with your children. In some cases, the children will refuse any contact…so maybe the peace in that circumstance would be something different than direct contact. Sending love and prayers.. so sorry for what you and your children have been through.